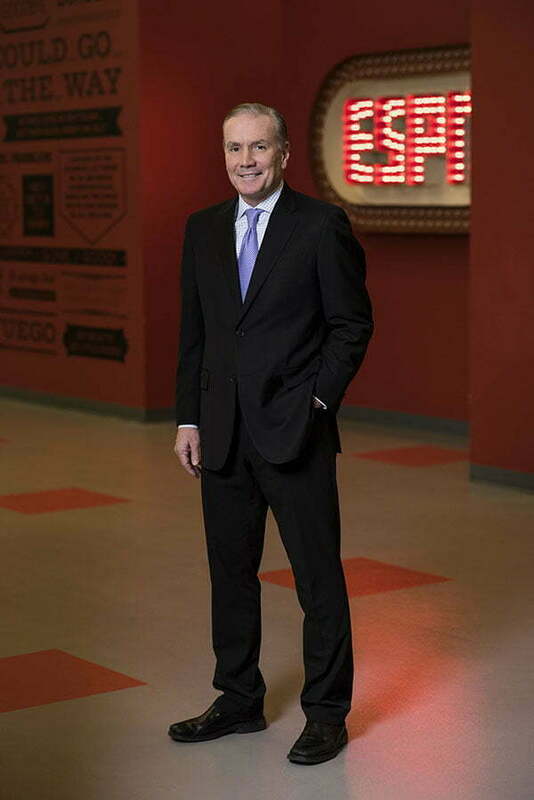 Coach Tim Welsh joined ESPN in November 2008 as an college basketball analyst, and continues to be an important member of the ESPN Family. In 13 years as a head coach, Welsh made eight postseason appearances – three NCAA Tournaments and five NIT berths. Welsh spent 10 seasons as the head coach at Providence College leading the program to two NCAA and three NIT appearances. He posted a 160-143 record at the helm, and his wins rank third all-time at Providence behind coaching legends Joe Mullaney (319 wins) and Dave Gavitt (209 wins). Welsh led Providence to its highest ever seed in the NCAA Championship at No. 5 in 2004 and to the Friars’ top two season win totals in the BIG EAST – 11 conference wins in both 2001 and 2004. Welsh recruited the top two players to come out of Providence in current NBA players – Ryan Gomes, an all-American and PC’s all-time leading scorer, and Marshon Brooks, an all-American. In the three years as head coach at Iona College, the team posted a 70-22 overall mark, he held the highest winning percentage all-time at 76 percent and made three consecutive 20-win seasons. Iona advanced to the postseason each year, going to the NIT in 1996 and 1997 and the NCAA Championship in 1998, while winning three consecutive MAAC Championships. He was named a two-time MAAC Coach of the Year (1997, 1998), and also received the 1996-97 NABC District II Coach of the Year and the 1995-96 Peter A. Carlesimo Award as the Metropolitan area’s Division I Coach of the Year. Welsh served as interim head coach at Iona for 10 games during the 1994-95 season, replacing his father, Hall of Fame Coach Jerry Welsh, who stepped down following that season due to medical reasons. Prior to that, Welsh had served as an assistant on his father’s staff for four years. He was an assistant under Jim Boeheim at Syracuse for three seasons (1988-91), in which the Orange went 82-21 and made three NCAA Championship trips. Welsh got his start in college coaching at Iona where he served as a volunteer assistant to Pat Kennedy in 1985. Following that season, he became an assistant on Kennedy’s staff at Florida State for two years. Welsh played college basketball at Potsdam State under his father, Jerry. He was co-captain his senior season and helped his team reach the Division III Final Four in 1984. A native of Massena, N.Y., Welsh currently resides in East Greenwich, Rhode Island with his wife Meghan, and their three children.